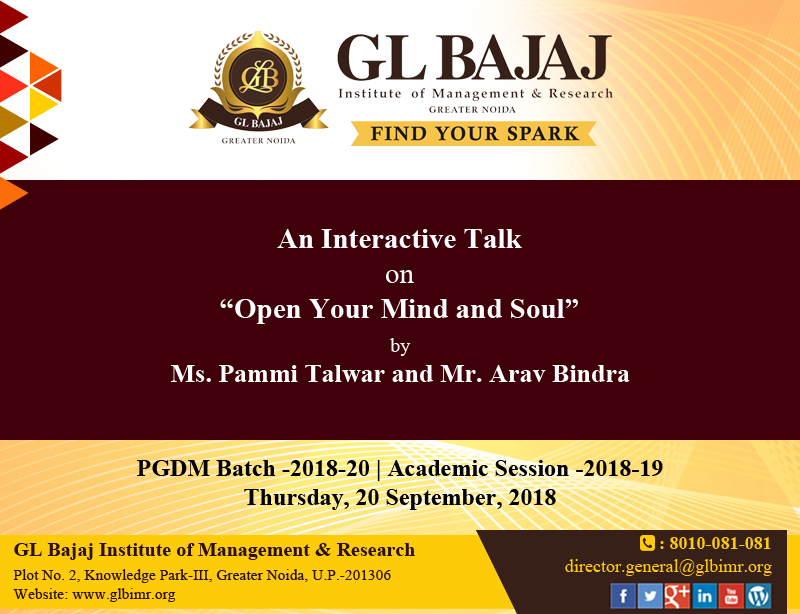 GL Bajaj Institute of Management & Research is organizing an Interactive Talk on “Open Your Mind and Soul” on September 20, 2018 for PGDM Batch 2018-20. The objective of this session is to help the students to critically think and build thoughts for effective communication. The session will apprise students of how to stand sturdy while facing challenges in improving communication skills. 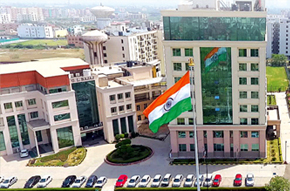 By sharing real life experiences, the ideas of what hurdles and barriers come up while learning communication skills and how to get rid of those would be discussed. In this interactive session, students may openly share their communication issues and get the solutions. With this motivational session, students would be able to think wide and touch the core of communication.